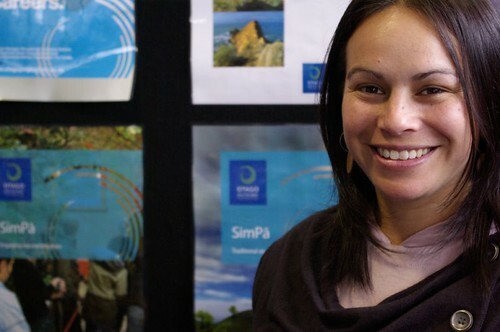 We’ve been SimPa-ing at the Otago Maori and Pacific Island festival today. 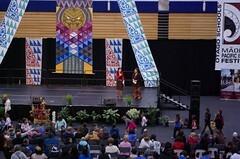 What an amazing event, hundreds, perhaps thousands of kids performing and enjoying a wonderful celebration of diverse cultures. 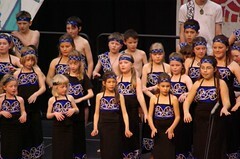 Kids from several of the runaka groups Tori and Amber have been working with were performing. These are from the combined Peninsula schools. With so many families putting in such energy, it is easy to see how SimPa is slotting in. Tori helped some groups capture themselves on video. They hope to use images and sound in their GamePa. 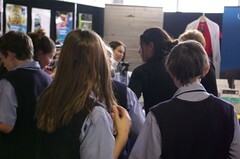 Amber was MC at the festival and her designs were a big hit, drawing crowds to the SimPa table.